2 for 1 Rates on Blue Denali Rail Tours! Travel the Alaska Railroad and save 50% on all Blue Denali Rail Tours in 2019! 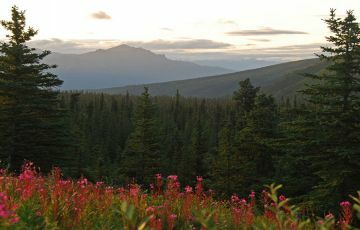 Departing from Anchorage or Fairbanks, itinerary options include visiting Denali National Park, Mt. McKinley Princess Wilderness Lodge in Denali State Park (near Talkeetna), or both! You’ll travel in our glass-domed, luxury railcars for optimal scenic viewing opportunities along the way. Visit our Tour Search page and select your tour! For phone bookings, please reference “S tours”. 2 for 1 Rates available on select Blue Denali Rail Tours with the three digit tour code beginning in “7”. Offer valid on tours departing May 12 – September 18, 2019. Rates are per person, based on standard room, double occupancy and include transportation between Anchorage or Fairbanks and Mt. McKinley Princess Wilderness Lodge, Denali National Park or both, accommodations, transfers between the depot and lodge and baggage handling. Single, triple and quad rates are available upon request. Taxes and fees additional. Based on availability, subject to restrictions. Promotion applies to new 2019 bookings only. Promotion expires September 18, 2019. Enjoy a savings of 25% on all Yellow Denali Rail Tours departing in 2019! Yellow Denali Rail Tours are 3-4 nights and start and end with an overnight in both the departure and arrival cities of Anchorage and Fairbanks in addition to overnights in Denali National Park, McKinley (near Talkeetna) or both. These tours include accommodations, baggage and transfers from your all of your hotels and to/from all rail depots. 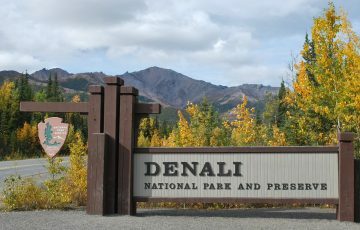 *25% savings valid on Yellow Denali Rail Tours with a three digit tour code beginning in “9” in 2019. 25% savings based on per person, single or double occupancy. Applies to new 2019 bookings only. Airfare, taxes and meal plans are not valid for savings. Phone bookings please reference promotional code Z25 at time of booking. Prices as shown on the website. Must be booked at a minimum five(5) days prior to travel. Promotion expires September 18, 2019. Save $800/couple ($400/person) on select 2019 Escorted Tours! Select dates in May and June are available at special savings of $400 per person/$800 per couple (valid for the first two full fare passengers only). Princess Lodges’s Escorted Tours feature the presence of an experienced tour director to guide you along your journey. Plus, many meals and activities are included. Book your vacation today! Select one of these four departures to save $800 on your ultimate Alaska vacation. *$800 savings based on $400 per person, double occupancy (single occupancy savings is $400 per person). Home city air not included. Not applicable with group bookings. Applies to new 2019 bookings only. Airfare, taxes and meal plans are not valid for savings. Please use promotional code YE2 when making your phone booking. Expires June 16, 2019. Save $500/couple on tours of 6+ days! Explore the majestic Last Frontier on one of our Explorer or Self-Drive Tours and save $500* ($250 per person) in 2019! Reserve your spot on a 2019 vacation today! *$500 savings based on $250 per person, double occupancy (single occupancy savings is $250 per person), US dollars. Home city air not included. Promotion only valid on Explorer, Escorted and Self-Drive tours. Not applicable with group bookings. Applies to new 2019 bookings on tours 6 days or longer only. Airfare, taxes and meal plans are not valid for savings. Please use promotional code YW2 when making your booking. Expires April 30, 2019. Learn what's new in the Last Frontier over on the Alaska Travel Blog!